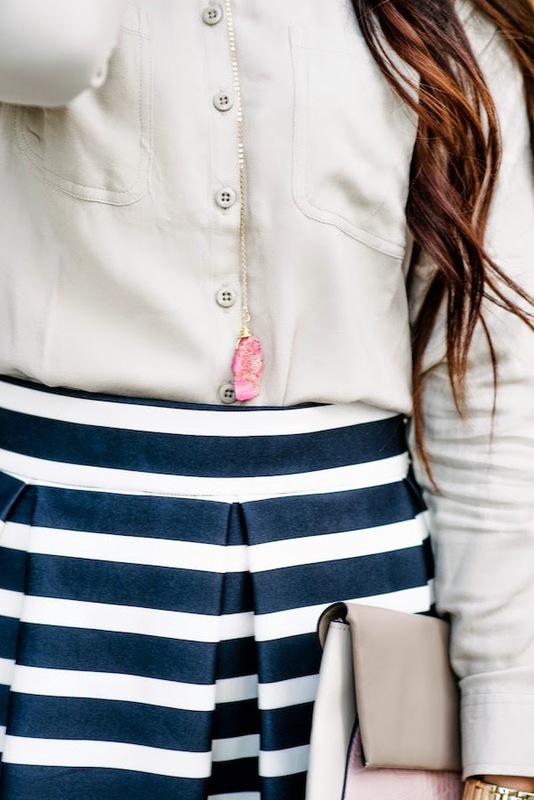 So I posted this same skirt a few days ago with comfy flats and a cute tee, but this is the perfect way to style this skirt up a little bit for a night out! 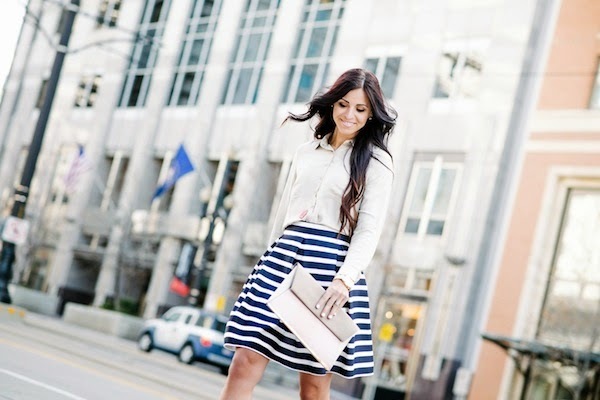 This is truly one of my favorite skirts and I love how versatile it is! It's comfy and lightweight and I love anything that I can get multiple uses out of! 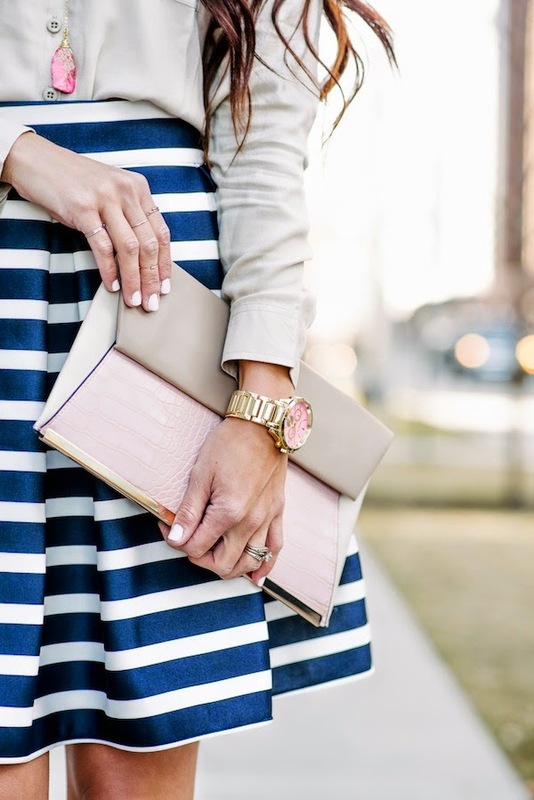 I'm loving nudes and blue colors lately and love the subtle pops of pink throughout this look! 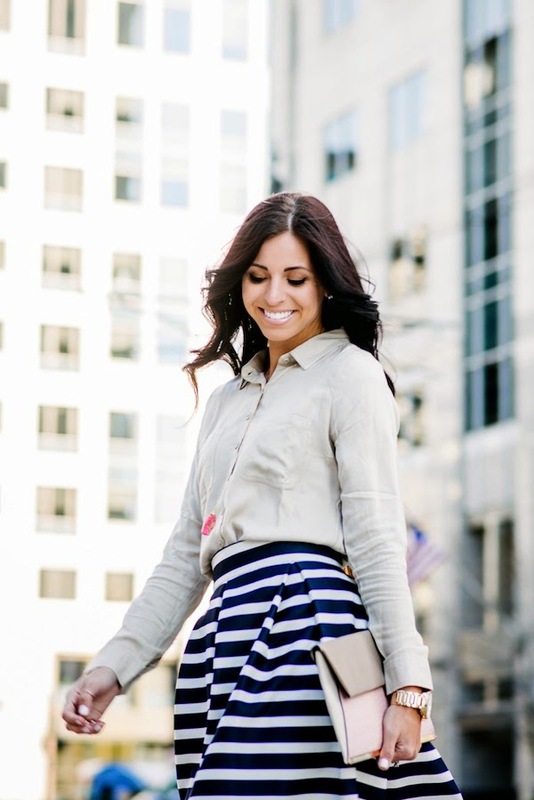 Basically friends, buy this skirt... I promise you will be so glad you did! 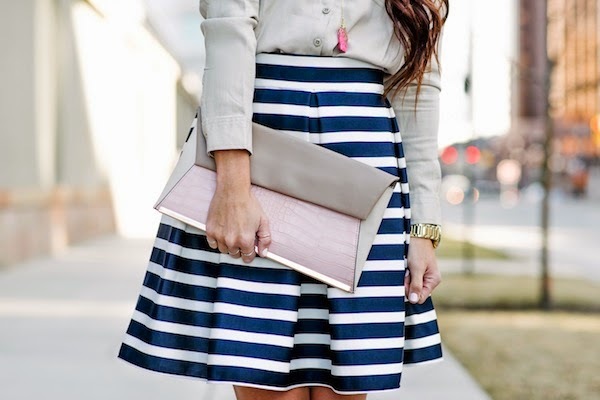 this skirt is ADORABLE! love this whole look. 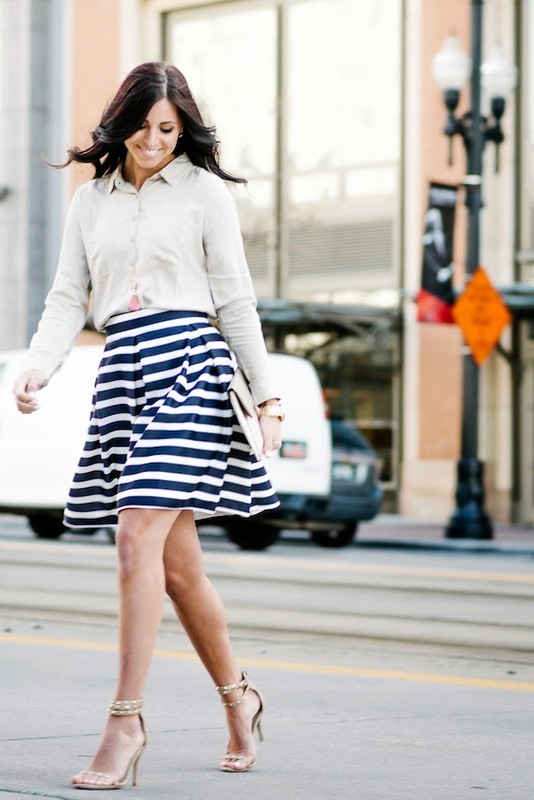 This skirt is so stinking cute and I can think of about 100 different ways to style it! This skirt is a real eye-catcher. You look marvelous!